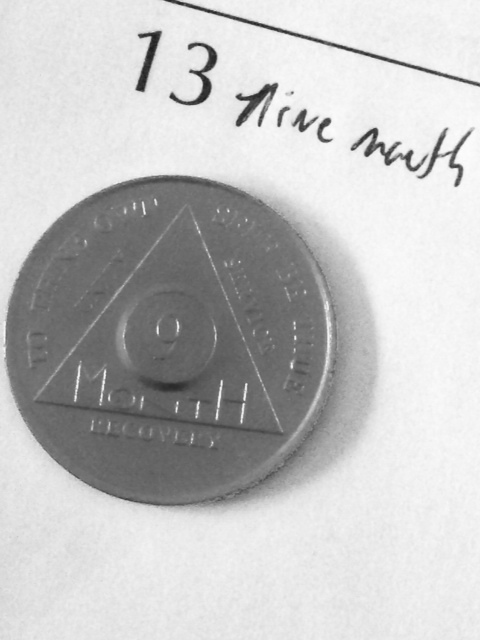 So a couple of days ago I hit nine months sober. It felt really good and I am proud of myself. It is a great accomplishment after twenty-three years of using and drinking. I do understand that I am no way cured, I will never be. I will always be an addict and alcoholic and there is things I need to do on a daily basis that help keep me sober just for today. During these nine months a lot has changed, and it is interesting because everything is the same all around me, the only thing that changes was in my head. I can see so clearly now, I truly was in a dark place, lost and miserable. One my greatest challenges today is to stay motivated on a daily basis to stay sober and work my recovery. With all that said, I feel it is time to move on from the very past that I usually blog about. In an learning setting looking back at your past is huge and recommended. Closing unresolved issues was huge in me moving forward in sobriety, however lately I feel I still identify myself as that active addict and alcoholic and feel its no longer a healthy exercise. I feel good, I feel excited. It is time to work on me and my family. My personal goals along with family goals. Its time to move forward like mature adults do and be a productive member of society. Contribute, help and live. Dwelling on the past is keeping me there and It is time to move forward. However I say this with the respect to my sobriety and keeping it my primary purpose in life. My recovery still must come first, it must start my day and end it. I do have solid foundation to lean on if I feel the heat, and of course, meetings, still daily. I am no good to anyone if I start using and drinking again. NO ONE. So with that said, today, I close the door to my past, hold on, and move forward, and that’s what living in sobriety is all about-for me. Next postWhat I do, when I feel like using and drinking.